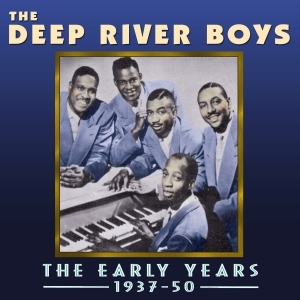 Acrobat has a highly interesting catalogue of gospel, doowop and vocal group recordings, which already includes a Deep River Boys collection from their later era during the 1950s when they recorded for EMI in the UK. This is an expanded version of an album, now no longer available, which was released in 2008, and which broadly covers a selection of their recordings from the 1940. It includes radio transcriptions, which might actually come from the late ‘30s, plus tracks they made for Bluebird and Majestic along with some lesser-known a capella recordings for the small Pilotone label, before they started recording for RCA Victor. It shows their development from their early focus on gospel and spirituals through to glee club and jive, but always showcasing their distinctive vocal group styling. Some of the tracks are not widely available, and this will appeal to collectors and enthusiasts wanting to complete their collections of the Deeps material.